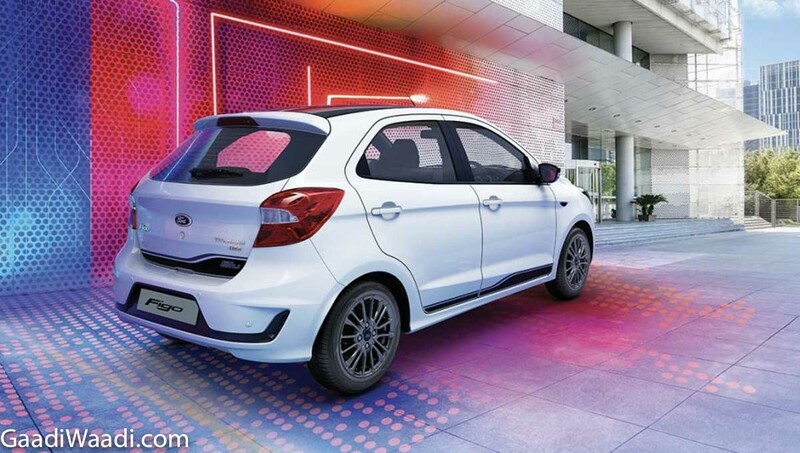 Ford officially launched the new Figo facelift model a few days ago in India and it is available in three variants – Ambiente, Titanium and new Titanium Blu top-spec variant. 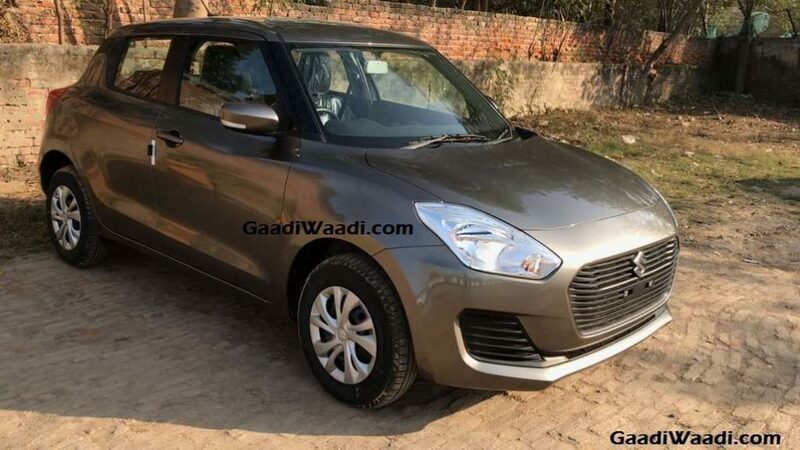 The Figo is competing against Maruti Suzuki Swift and Hyundai Grand i10. The Swift is available in four variants – L, V, Z and Z+ while the Grand i10 also comes in four variants – Era, Magna, Sportz and Asta. The petrol base variant of Figo is priced at Rs. 5.15 lakh (Ex-Showroom), which is lower than the earlier model but the Figo is more expensive than both Swift and Grand i10 as the former is priced at Rs. 4.99 lakh and Rs. 4.97 lakh for the latter. The features of all three models are almost the same, which gives more value for both Grand i10 and Swift compared to new Figo. 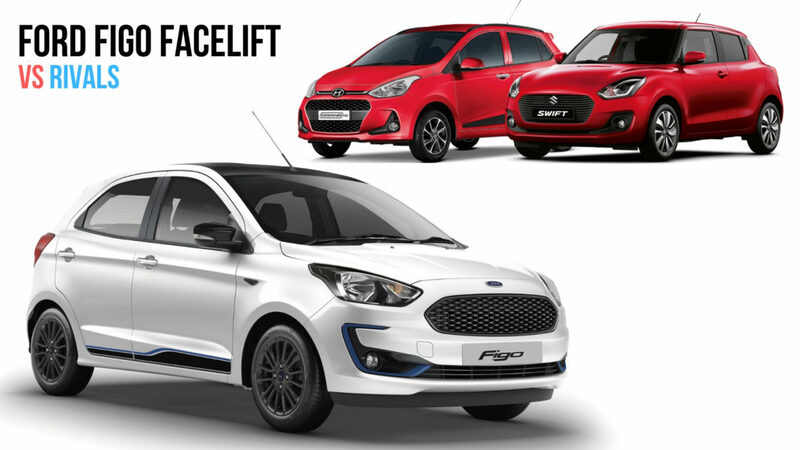 Hyundai offers two middle variants compared to Figo and Swift. Among the three, the Grand i10 is priced at Rs. 5.72 for Magna and Rs. 6.40 lakh for Sportz. The Titanium middle variant of Figo is priced at Rs. 6.39 lakh, which is par among with Grand i10 but the Swift is considerably cheaper as it comes at just Rs. 5.98 lakh. Like the base variant, the middle variant of Figo has more features than both Grand i10 and Swift. When it comes to the top-end variant, Maruti offers two variants which are priced at Rs. 6.60 lakh for ZXi and Rs. 7.40 lakh ZXi+. The top variant of Figo comes at Rs. 6.94 lakh and the Grand i10 is the cheapest among the three as it is priced at Rs. 7.05 lakh. In top-spec trim, all three models are evenly matched in terms of features. All three manufacturers offer automatic petrol variants but Ford is only offering the automatic in a single variant while Hyundai and Maruti offer it in multiple variants. The automatic option is available only in the middle variants of Grand i10 and Figo but Maruti is also offering the AMT in the top-spec variant of Swift. Among the three, Figo is the most expensive petrol automatic variant, which comes at Rs. 8.09 lakh while the Swift priced at Rs. 6.45 lakh and Rs. 7.85 lakh. The Grand i10 petrol automatic is priced at Rs. 6.51 lakh and Rs. 7.05 lakh. Ford offers the most advanced gearbox among the three as Figo gets a 6-speed torque converter compared to AMT of Swift and 4-speed torque converter of Grand i10. In terms of diesel, the base variant of the Figo is the cheapest among three as it comes at Rs. 5.95 lakh compared to Rs. 5.99 lakh for Swift and Rs. 6.13 lakh for the Grand i10. But the middle variant of Swift is cheaper than both Figo and Grand i10. The top-end variant of Swift is much more expensive than competitors while the Grand i10 is the cheapest and Figo is in the middle. Maruti also offers an automatic option in diesel but Figo and Grand i10 don’t get it. Ford Figo is powered by new 1.2 L petrol with 96 hp and 120 Nm, the company also offers a 1.5 L petrol engine producing 123 hp and 150 Nm, the diesel engine is 1.5 L with 100 hp and 215 Nm. The Swift gets 1.2 L petrol engine with 83 hp and 113 Nm and 1.3 L diesel engine with 75 hp and 190 Nm. 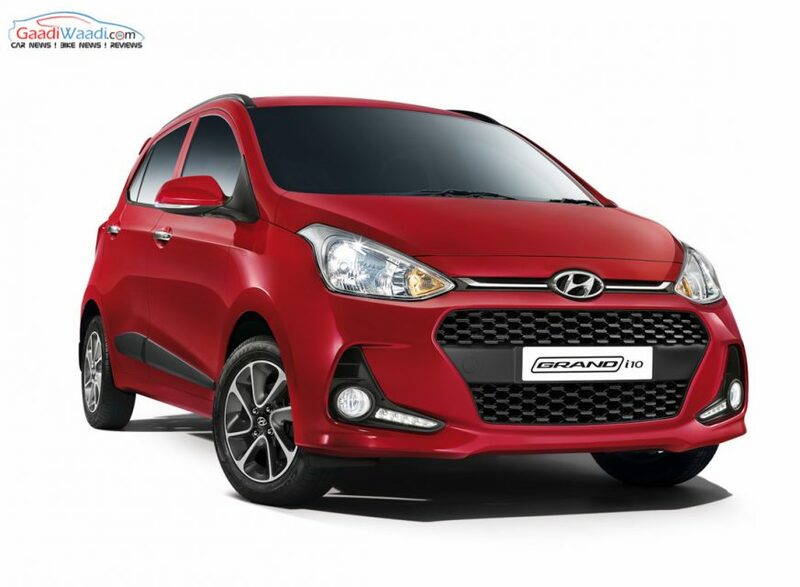 The Grand i10 is powered by 1.2 L petrol engine with 83 hp and 114 Nm and 1.2 L diesel engine with 75 hp and 190 Nm. The Figo offers the most powerful petrol and diesel engines among the three. Overall, when it comes to pricing all three models are evenly matched and each has its own unique features to make them stand out. But the Figo offers more value for customers with lots of safety kit along with premium features and it is the best VFM product among the three.